Before I dive into this new story collection of all things dark, I must preface this post by saying that I didn’t read the whole book. Because I am participating in #ReadWomen2014, I only read the stories included in the anthology that were written by women. My friend leant me the book so I could use it as preparation for writing my third noir young adult novel (the writer’s life is all inhalation and exhalation). 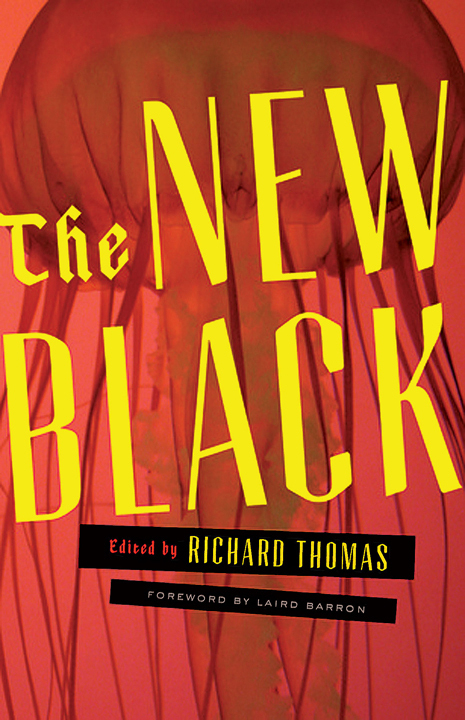 According to the book’s jacket copy, The New Black is a collection of “20 neo-noir stories exemplifying the best authors currently writing in this dark sub-genre.” This was exactly the book I needed to put my mind in the necessary dark place to explore the themes of betrayal, loss, and death I wanted to touch on in my latest book. I was excited to see a few familiar names when I skimmed the table of contents. Roxane Gay is one of the stars of the book, and her story “How,” about a woman trapped within her claustrophobic small town life, is one of my favorites. The lovely and talented Vanessa Veselka has an entry with the ultra-sad and a little weird (basically Veselka’s sweet spot) “Christopher Hitchens,” about a mother who visits a healer who promises to cure her of faith. I was excited to see Benjamin Percy, known most recently for his werewolf novel Red Moon (and the best author reading voice I’ve ever heard), on the list of contributors, though I’ll have to come back and read his story next year. The most exciting find for me in the book was Lindsay Hunter. At the same time I read her disturbing story “That Baby,” her new novel Ugly Girls has started garnering some attention (another novel to add to my to-read list). “That Baby” is told from the perspective of a new mother who watches her abnormally large newborn boy take on increasingly terrifying traits, everything from not letting the father sleep in bed with he and the mother to uttering his first word, “honey,” with the sliminess of a man cat-calling on the street. The tension in the story only increases as the reader wonders what this horrifying monster-child will do next, his every move implying impending domestic violence towards the mother. A more subtle but equally affecting story is Rebecca Jones-Howe’s “Blue Hawaii.” In it, an alcoholic struggles with sobriety when she starts sleeping with a drug addict. The main character bears the scar left behind from having surgery as a child to fix her cleft lip. At one point the addict asks her, “What it’s like, knowing you were born with all the ugly on the outside?” That is the kind of line that an author bleeds onto the page. What I liked the most about The New Black is the way it defied and re-shaped my expectations about how a noir should look. I expected the stories to be about revenge and death and to be filled with plot twists and turns. They still featured the dark aspects of humanity, from death to addiction to the fear of motherhood, but unlike the noir stories of the early twentieth century, these stories felt more inwardly focused. This gives me hope for my own neo-noir series. Sure, my latest book contains an ocean rescue and a murder, but it also features a lot of reflection on what it means to hurt those we love. The New Black renews my energy and inspires me to keep pursuing the “internal noir.” If you introduce a gun in the first act, you better think about it in the second act.